Regular readers of this website will be familiar with its origins in the letters of the Lee family sent from Jamaica to England. This new book carries on their history to the next generation with the story of Fanny Dashwood who eloped with Matthew Allen Lee. When I found an extensive collection of her papers at the National Archives in Kew, I knew that her story deserved to be better known. Born to great wealth, but illegitimate, she lost her much loved father Sir Francis Dashwood (he of the Hell-Fire Club) when a small child. Educated in France with princesses, aristocrats and the daughters of Thomas Jefferson, future President of America, she was forced to abandon the studies she loved and return to England at the outbreak of revolution. Once there she became embroiled in a series of teenage scrapes involving young men, which culminated eventually in elopement, furious rows and separation. Several years later she was abducted and raped, forced to attend a trial that destroyed her reputation and failed to deliver justice. 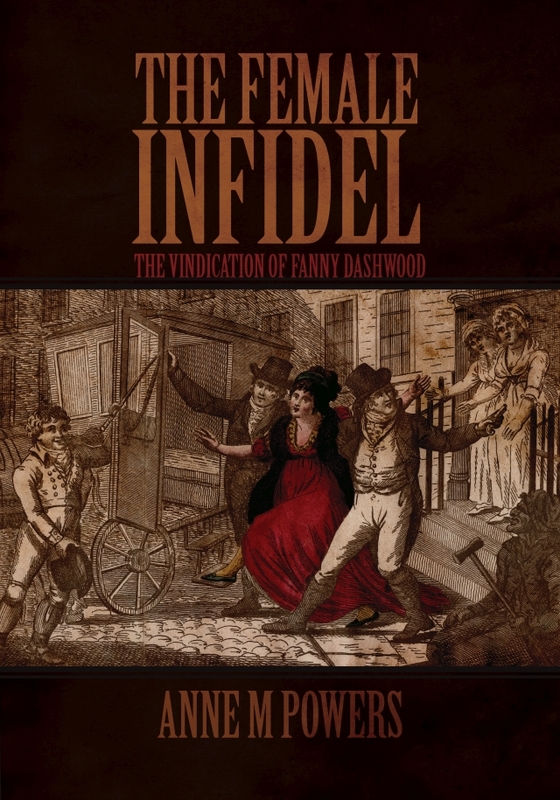 It led Thomas De Quincey to name her as the ‘Female Infidel’. There are very modern echoes in her persecution by the media, vilification by cartoonists and sufferings at the hands of stalkers. Despite all this she continued her studies and published her Essay on Government, which might have had greater success had she not already achieved notoriety. She is now remembered, if at all, for all the wrong reasons. History has not been kind to her. I hope this book will help to redress the balance. Buy the book direct at the special 10% discount price. Available in perfect bound paperback A5 384 pages with illustrations. Also available on Amazon in paperback and for Kindle.